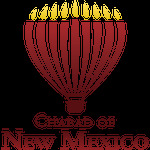 Chabad of New Mexico offers a wide array of Social Services, Outreach and Educational Programs, as well as a Synagogue, Social and Learning Center, open to everyone regardless of affiliation or level of Jewish observance. Above all, Chabad is here to serve you and you are invited to avail yourself of any of the above services . . .